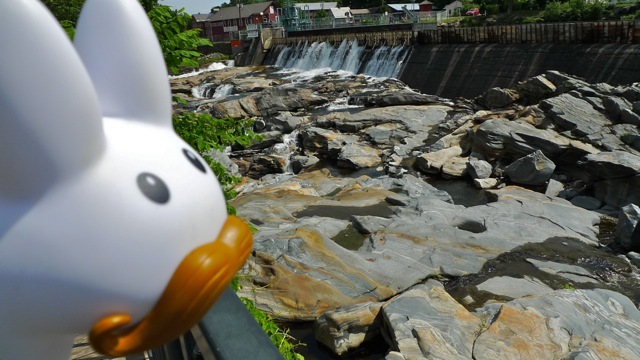 Pipkin caught a ride as a stowaway on Nick's motorcycle and went to visit Shelburne Falls in the foothills of the Berkshires. 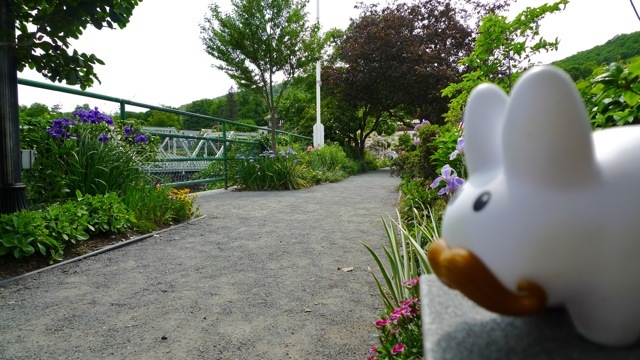 He visited the famous Bridge of Flowers and the Iron Bridge connecting Shelburne and Buckland, seen in the picture above. 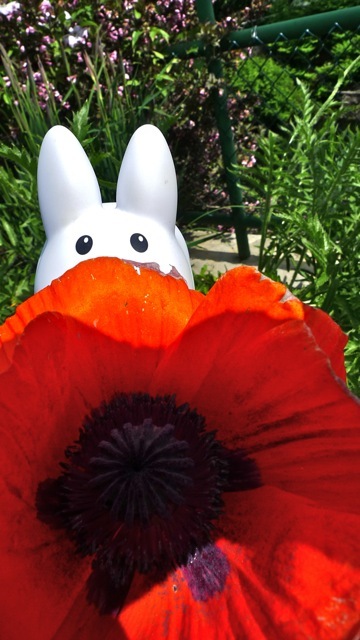 The Bridge of Flowers has many annuals and perennials, like alium, columbine, irises, roses, peonies, bleeding hearts, astilbe, hostas, a variety of shrubs, small trees and climbing vines, and giant poppies, like this one with Pipkin. One mustn't miss the glacial potholes, carved out during the last glacier age 14,000 years ago. Late spring and early summer you get a better view of these naturally occurring potholes when the water is not so high. After Pipkin got his fill of flowers and rocks, he visited a few shops featuring glass blowers and art from local painters, photographers and craftsmen before climbing back in Nick's panniers for the motorcycle ride home. Once Pipkin gets a pair of goggles and maybe a helmet, he'll be able to ride up front.